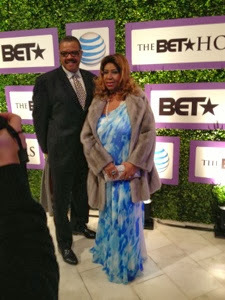 On Friday night, I was invited to an exclusive pre-BET Honors dinner hosted by BET CEO Debra Lee. 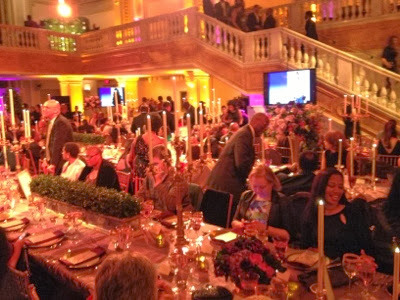 The dinner was held at the National Museum of Women in the Arts. It was hard not to gawk at the amount of star power in the room. I was literally watching Aretha Franklin chat with Smokey Robinson while Attorney General of the United States Eric Holder was making his rounds in the room and here was lil 'ole me just trying to hold it together. It was a sight to behold, I am still floating! I had a chance to ask Tamar about her weight loss secrets and Aretha Franklin dished her favorite music act of the moment! Awesome stuff! 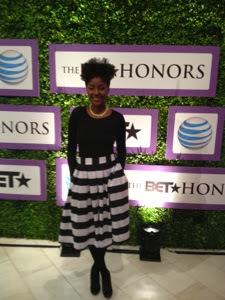 Dont miss the BET Honors when they air in the US on Feb 24 and Feb 28th on BET International! Check out the video recap of the intimate & swanky soiree below.